In 1966 the headlights were replaced with the (US-spec) twin-headlights on each side. 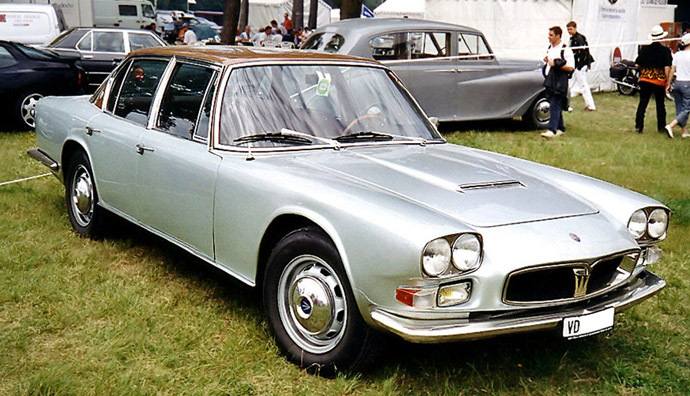 From 1968 an even stronger powerplant was offered: the Maserati 4700 cc engine with nearly 300 HP! With the new engine (4100 cc was still an option) the car was faster, but for the rest was very much similar to the 1st series. The interior in the Quattroporte I 2nd series was more luxurois with much more wood detailing. Production stopped officially in 1969, but a few were manufactured until 1971 as special orders.